Show: All ManufacturersBruder Healthcare CompanyBSN MedicalCarex Health BrandsCore Products International, IncHot Headz of America, Inc.North Coast Medical, Inc. These two areas of the body have proven to be the most troublesome for the majority of people. Our herb packs offer soothing relief with heat and a natural blend of 11 herbs. 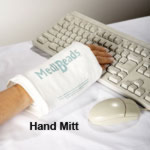 If aromatherapy is not for you, then the MediBeads products are your answer for heat therapy. 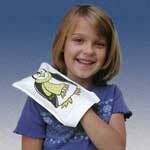 The Bed Buddy collection offers heat packs in many shapes and sizes to fit any place on the body. A massage in conjunction with heat therapy may be useful. The TheraCane and Jacknobber can target a tight muscle and the Nukkles hand massager produces an overall soothing massage. 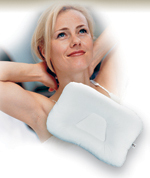 Sore necks can be soothed by choosing one of our orthopedic support pillows which provide just the right support while you sleep. Leg spacers, the knee elevator and the bed wedge can position the back and legs in just the right way so that you can get a good night's sleep. If your body needs cold therapy, you'll be happy to know that our herb packs and Bed Budddy packs can be used cold as well as hot. The Protocold packs are made specifically to be used cold. Lastly, the SitBack Rest provides necessary support while sitting at a desk or computer or while driving in a car. See which of these products will work for you!